The Surgical Clinic operates several days a week in the Ambulatory Care Unit, handling minor surgical procedures, follow-up post-operative appointments and consultations. 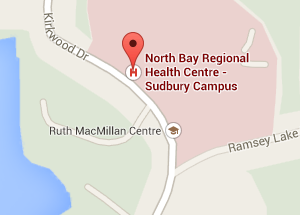 Physician referral is required; please bring your Ontario Health Card with you. You are required to report to the registration area two hours before your surgery. Leave all of your valuables at home (jewelry, money, purse). Bring your Ontario Health Card with you. You will be registered and asked to submit or confirm your insurance information. From the registration area, you will proceed to the Day Surgery department to prepare for your surgery. You will be asked to change into hospital attire (gown, housecoat and slippers). Ask when you last ate and drank. Take your height and weight if not already obtained in the pre-admission visit. Review any changes to your health history. Review the teaching about your surgery/procedure. 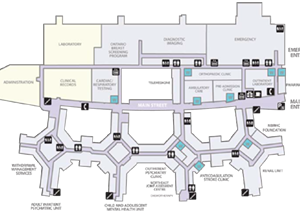 All day surgery patients return to the Day Surgery area after their surgery for post-operative care and discharge home. Patients who require a longer stay in hospital return to one of the inpatient units after their surgery. All patients must meet a specific set of discharge criteria before they are able to be discharged home. The time you will spend in the day surgery department will depend on what type of surgery you had, what type of anesthesia you had and how you are feeling after surgery. Day Surgery nurses also provide care for patients following endoscopic procedures (gastroscopy or colonoscopy) and certain radiological procedures (i.e. liver and renal biopsies, aortograms, CAT scans for children). If you are having post-operative pain and/or nausea, you will be given medications for this before discharge from day surgery. Post-operative teaching and discharge instructions and follow-up appointments if needed are given to each patient before discharge from day surgery. Your nurse will review them with you before you go home.As part of our ongoing quality improvement (QI) program, some patients may receive a telephone call from one of the day surgery nurses the day after your surgery. You will be asked to identify any problems such as pain control or nausea. 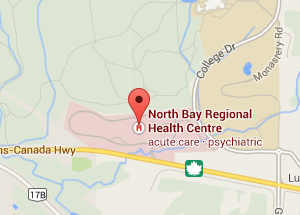 NBRHC is committed to patient-centered care. Is your child having surgery? A new video at the North Bay Regional Health Centre (NBRHC) offers a look inside the surgical experience to help young patients and their families feel more comfortable before an operation. 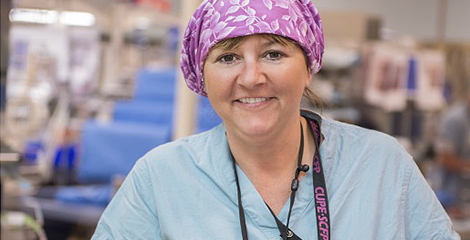 The three minute video follows Melanie, a paediatric patient at the NBRHC on surgery day and teaches viewers what they can expect before and after a medical procedure. The goal is to reduce anxiety by showing other kids what they will see and experience when they come to the hospital. The video is good preparation however for patients of all ages to help familiarize with the surgical environment and routine. Check out these websites to help explain to your child what they will experience.